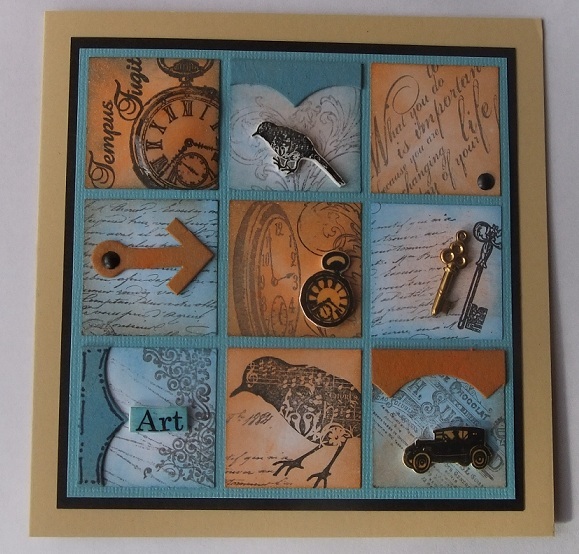 This was the brief for the challenge over on Creative Craft World and here is my creation. It's a bit late in being uploaded but I have been busy preparing for The Bijoux Belles forcoming Retreat:) The challenge is bing sponsored by The Crafty Pad Stamp Designs - so go on - have a go, you know you want to! I've used a selection of my own stamps for my card and I might use it for Chris's birthday which is next week. I just need to add a greeting and job done. Susi, I always LOVE your cards and this one is no exception!